27,910 drug-addicted people were registered in Azerbaijan in 2012, with 1,878 of them recorded for the first time, according to official estimates. Figures of the narcology center under the Azerbaijani Health Ministry show an increase in the number of the officially registered drug addicts from 26,716 in 2011 and 25,489 cases in 2010. Thus, the number of officially registered drug addicts has increased by over a thousand annually in the past three years. Some 528 of the registered drug addicts in Azerbaijan are women, which is almost unchanged compared to 2011 when 511 women were registered. Most of the drug-addicted women are aged 30-44. The majority of male drug addicts are of the same age. There are 3,767 drug addicted persons in the 25-29 age group and 1,247 in the 18-25 category. There are no registered drug addicted people under 18 in the country. However, the unofficial number of these people is higher many fold, experts believe. The 2012 World Drug Report of the United Nations Office on Drugs and Crime (UNODC) indicates that injecting drugs carries a high risk of infection with blood borne viruses such as HIV, hepatitis C and hepatitis B, and the sharing of contaminated needles and syringes is an important mode of transmission for those viruses, which pose a major public health concern, incur considerable costs to healthcare services and often lead to premature death. Of the estimated 16 million people around the world who inject drugs, about 3 million are living with HIV. According to the Public Health and Reforms Center at the Azerbaijani Health Ministry, HIV infection is mostly found among injecting drug users in Azerbaijan. The Azerbaijan Republican AIDS Center's acting director, Esmira Almammadova, believes that some 60 percent of Azerbaijanis were infected by HIV through injection of drugs. According to Asif Kengerli, addictions psychiatrist of the anonymous substance abuse medical-consulting office under the Republican Narcology Center of the Health Ministry, 90-95 percent of the injecting drug consumers are hepatitis C carriers, and all of the injecting drug users suffer from neurasthenia. 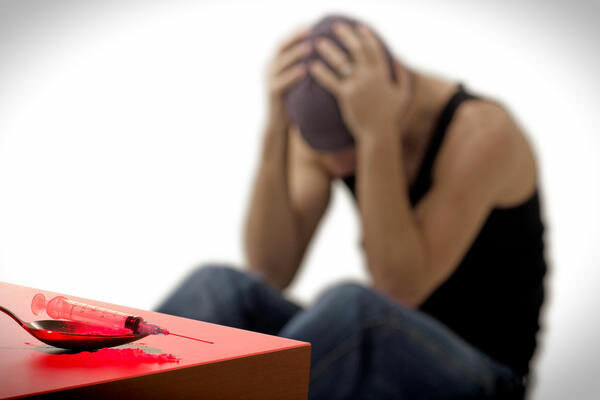 Addiction is a complex disorder characterized by compulsive drug use. There are four most common types of drug abuse, including stimulants, depressants, hallucinogenics and opioids. Each drug produces different physical effects. However, all abused substances share one thing in common - repeated use can alter the way the brain looks and functions and harm the body. UNODC reported that opioids continue to be the dominant drug type accounting for treatment demand in Asia and Europe and also contribute considerably to treatment demand in Africa, North America and Oceania. In 2010, an increase in heroin users was observed in South Asia and in East and South-East Asia in particular. The observed increase is the result of revised estimates of opiate users in Asia, mainly in Armenia, Azerbaijan and Georgia in Central Asia and Transcaucasia. According to UNODC, approximately 11 tons of heroins enter the Caucasus annually; 4 tons of that are either consumed or seized annually within the region; and 7 tons are smuggled to Europe. According to the US government, mainly opiates are brought to Azerbaijan from Afghanistan. Afghan opiates transit Azerbaijan by three primary routes: from Central Asia and across the Caspian Sea; from Iran through the south of the country; and through uncontrolled territories of Azerbaijan. While international attention is focused on the Iran-Azerbaijan border and Caspian routes, Azerbaijani officials regularly identify the uncontrolled territories as a more significant threat. Azerbaijan was one of the first countries in the South Caucasus to become a party to the 1988 UN drug convention in 1993. Azerbaijan also started one of the first police units that specifically targeted drug trafficking in the region.